I wrote this on 19_11_11, but the internet went down at my hotel and, with the interminability of adding photos to this blog on a slow internet connection, I decided to finish this up at home. a Persian © Gernot Liska. 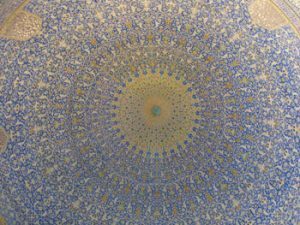 I nearly cried when I walked into the main hall of the Imam Mosque in Esfahan – overwhelmed by the beauty of that vast space. 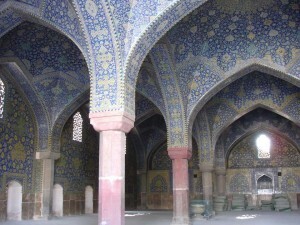 Perhaps the effect would have been almost as powerful had it merely been a plain stone edifice, but the lovely blue tiles that cover its surfaces simply stun the senses. The proportions and the scale of the building, the way its volumes connect – some closed, some open to the sky – and how this space is further articulated by columns and vaults – these factors alone would have made it one of the most majestic buildings I have ever entered. But it is those tiles that raise the building to a sublime level; forming a surface of such complexity that you would imagine that the eye would become bewildered, but that doesn’t happen, instead the tiled surface emulates the fractal complexity of nature, but in a way that is supra-natural. The face of the mosque, the massive gateway that overlooks Imam Square (until recently called Naqsh-e Jahan, ‘the pattern of the world’ – as I think was the mosque – as it is still is by most Esfahanis), is actually an immense ceramic mosaic, but Shah Abbas, the sovereign who had all of this built, was told by his architect that if they proceeded to sheath the entire building in that manner, that it would take decades and that, indeed, the shah would not live long enough to see it completed. 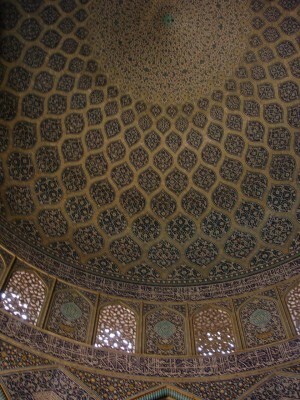 Reluctantly, the Shah agreed to allow the work to be finished with tiles. An interesting story that speaks of ambition and of what it took to pull off an achievement of such grandeur and magnificence in a pre-industrial era. There is something about the structures of this period (called Safavid after the dynasty, and roughly contemporary with James I in England – the sixth in Scotland) that seems to me to speak eloquently about the Persian soul. Beyond its almost ‘computer graphical’ decoration, this mosque displays a clarity of vision, a purity of form that seems almost Modernist. Apart from some rolled up and stacked carpets, there is no clutter of any kind. Both in it’s lean geometry and organic detailing, it could be the discarded shell of some cosmic crustacean. Halfway down the side of the immense square (apparently, the second largest on Earth, after Tianamen – though it manages to maintain a human scale), there is the smaller Sheikh Lotfollah Mosque. My mouth literally fell open as I walked into it. Tiny in comparison to it’s bigger brother but, with it’s exquisite tiles, it seemed more a piece of porcelain than a building. 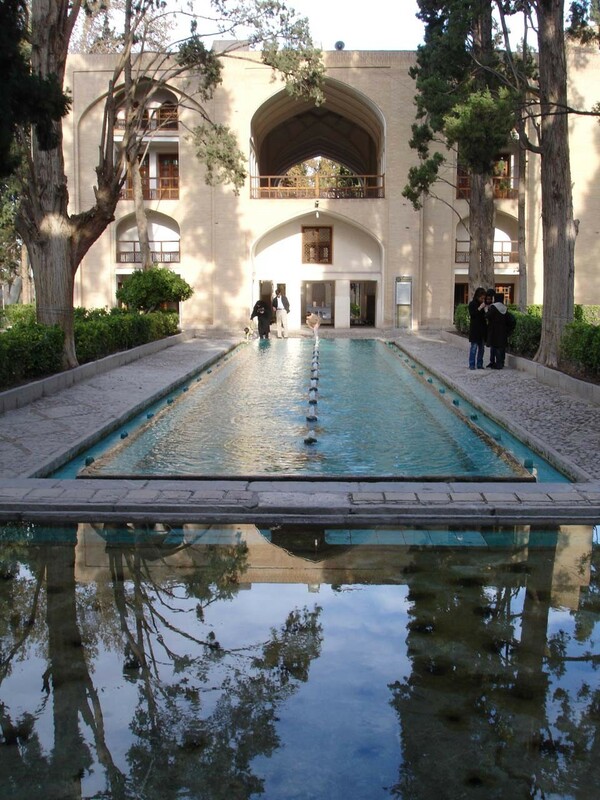 If I consider these two wonders along with the sublime, restrained Bagh-e Fin – a formal garden I later visited in Kashan – then I begin to sense the presence of a very particular way of appreciating the world. This garden, it’s division by water channels into balanced quadrants making it clearly a direct successor to Cyrus’ garden at Pasagard, seems modest in comparison with the baroque excesses of, say, Versaille. Not here the vast scale that deliberately attempts to cow the visitor before the glory of a sun king, nor the over-elaborate and deliberate geometries that attempt to display the dominion that man has over nature – but rather a reverie that a poet might experience while contemplating the mysteries of nature (admittedly a poet of a mathematical bent). 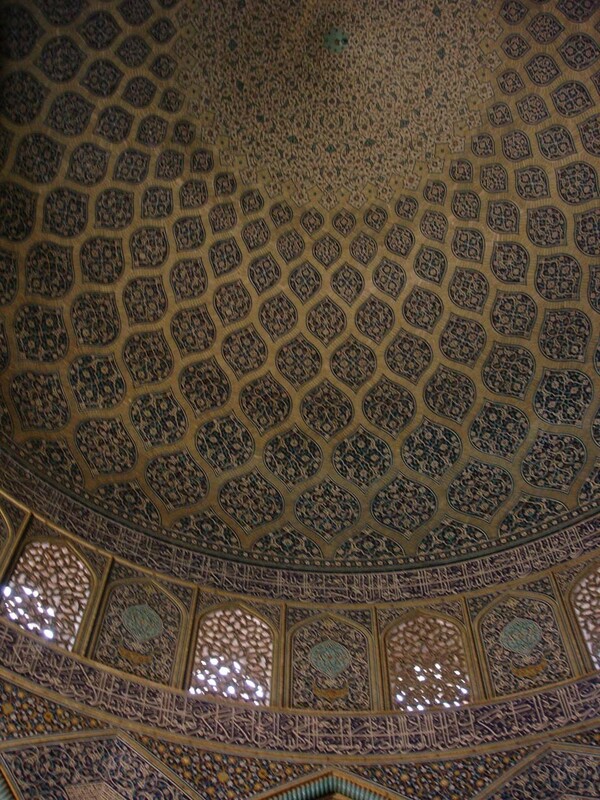 Formality without oppression and – in the case of the mosques – scale that does not crush the spirit of the onlooker, but rather fills him with wonder; detail that does not weary his eye but suffuses it with delight. 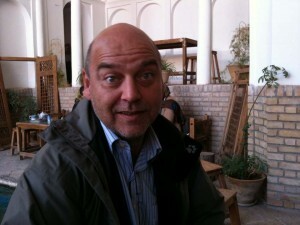 I met Akbar in the Great Bazaar at Esfahan. A charming, softly spoken gentleman with excellent, iodiomatic English. 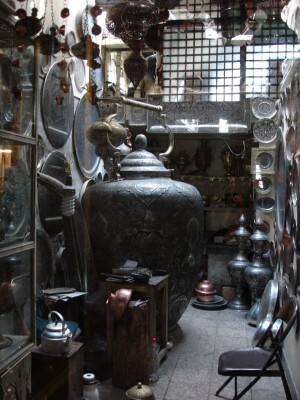 He took me down to see his carpet ‘warehouse’ – a large room beneath the bazaar; the place is an ancient warren. He talked to me about the nomads whom he visits regularly to purchase those pieces of their work that, having used them for years, they replace with something newly made. Labours of love, since a nomad woman weaves and embroiders each piece for her family following patterns that perhaps her mother has passed down to her, or merely indulging her own artistic vision. Akbar is sad that the lifestyle of these people, one that has thrived for millennia, is likely soon to disappear – because their children, educated (presumably by the state?) 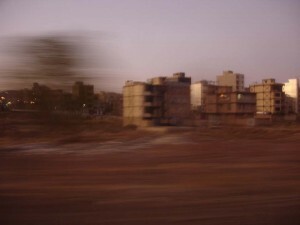 are choosing to move to the cities and, without them, the nomad way of life is bound to perish. 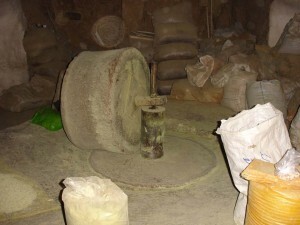 Esfahan has factories that make carpets by hand, carpets that are much more ‘perfect’ than those made by the nomad women. These are the carpets that Akbar says most Iranians prefer, though both he and I dislike them – for they look very much like those made by machine. 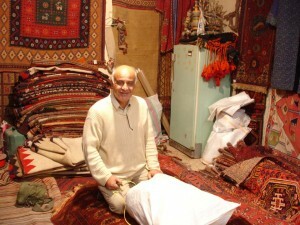 He grumbled that his wife won’t let him have any of the nomad carpets that he loves in his own house. We had tea together in a tiny cafe in the bazaar and talked about the state of the world, and he took me to see the dyes being ground (no longer by a camel driving the grinding stone) for colouring the wool for carpets; to watch cotton being printed by hand from wooden blocks; and tiles being made for mosques and houses. With his son, Kourosh (Cyrus), we talked about the difficulties that Iranian men have in getting married. Now this is something that I had already learned about from Karim on the train. 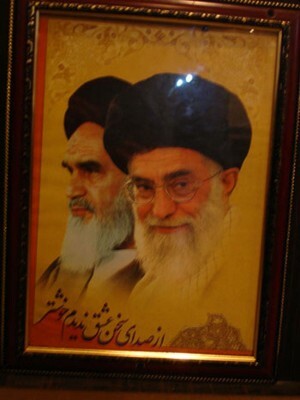 He moaned that he did not have enough money to get married and told us that this was a common problem in Iran. Joachim and I quizzed him about this because it seemed so contrary to the preconceptions that we have about the relationship between the genders in Iran. It seems, at least according to these men I have talked to about it, that women are promised money as part of the marriage agreement. The minimum is, apparently, something in the region of $100,000 – though it can be a lot more (and bear in mind that the average wage in Iran is at best only a third of what it is in the UK). A wife can demand this money from her husband at any time and he has to pay it to her in gold coins. Downcast, Kourosh admitted that he is paying a large sum to his estranged wife at one gold coin ($600) a month. I’m not sure that this isn’t something akin to maintenance payments – though there were no children involved here. 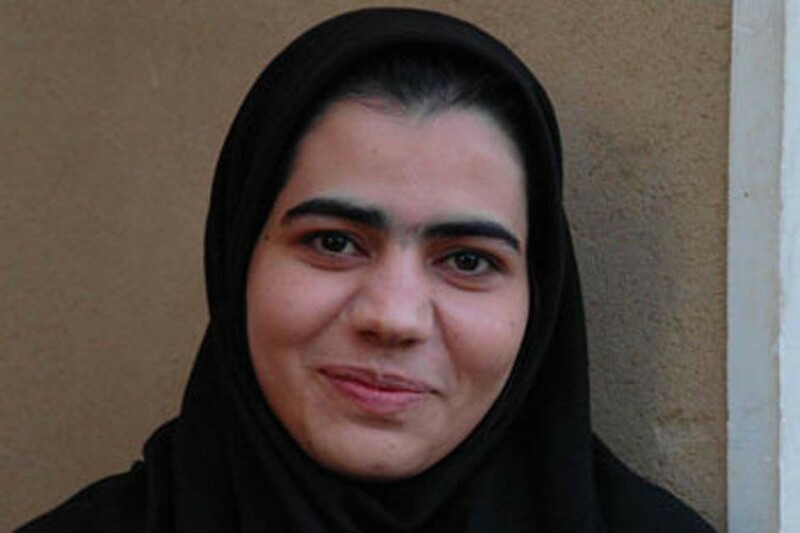 What with this and other things I have been told, I was left believing that women in Iran are actually very much in charge – this is certainly what every Iranian man I have spoken to claims. However, I had only heard one side of the story – naturally, because women are less likely to open up to strangers, especially if they are men. 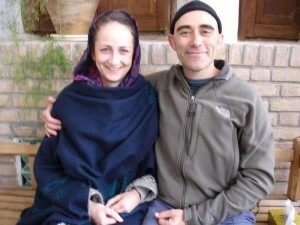 Claudia, a German traveller I met in Kashan, told me a different story. 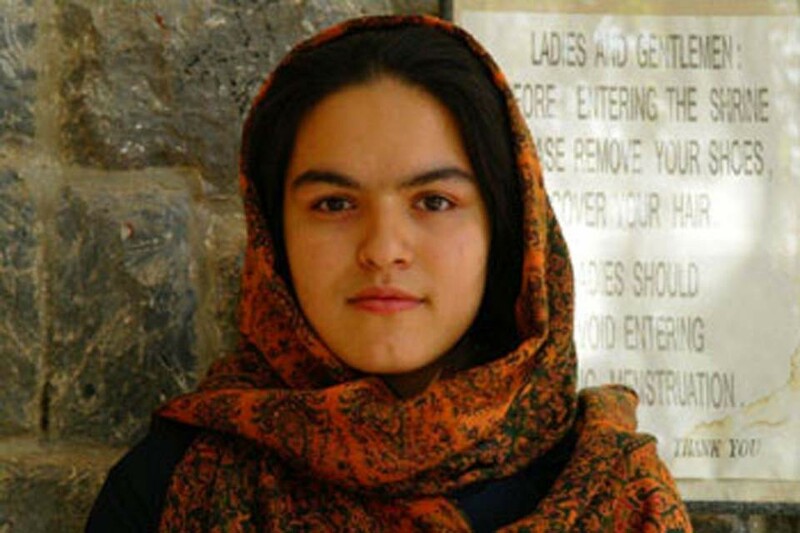 She had talked to Iranian women and they had told her that a husband has the right to beat his wife – and that such beatings are not uncommon. Further, a wife cannot obtain a divorce unless her husband chooses to give it to her. So that, even if she leaves him, she will remain in the limbo of still being his wife unless he chooses to release her. She cannot marry another man, and is still under his control. So, apparently, there is some kind of balance of power between the sexes, but not, it appears, equality; rather an asymmetric ability that each has to hurt the other. 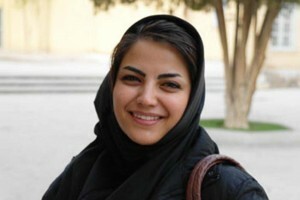 Further, I have had it reported to me that the Iranian young are miserable. I suppose I could have quizzed those of them I have talked to, but when I may have had the opportunity to do so, we talked about other things. 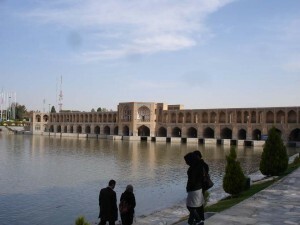 Nevertheless, I have observed, in Esfahan, teenage couples on park benches, or down by the river, seeming to be lost in each other much as young people anywhere. However, these sightings have been rare in other cities. Mostly, girls and boys seem to form separate societies. You often see young men walking around hand in hand. 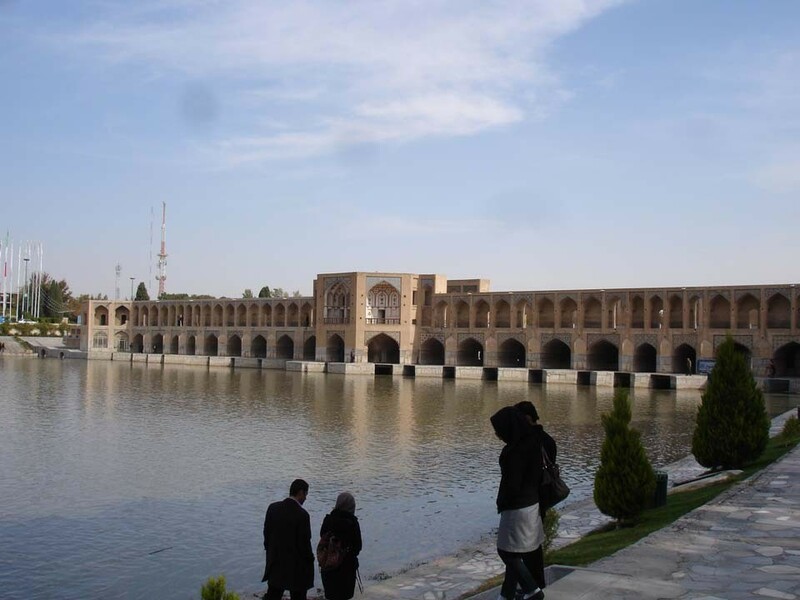 Two such asked me to take a photo of them against one of the beautiful ancient bridges that span the river at Esfahan. I regretted almost immediately not having asked them if I could take one of my own – because then I could have shown you. I’m sure they would have been more than happy to let me. They behaved just like a ‘couple’, though I am certain they were not gay. It is just that the injunction here against touching women is very strong and so it seems to me that men end up – women too, no doubt – forming perhaps more intense bonds with those of their own gender than they might otherwise do. Several women have expressed to me irritation at having to cover themselves. They vary in the way they choose to do this: from looking like ‘nuns’, to wearing their hijab so far back on their piled up hair that it looks like it is just about to slip off. Even those who look like nuns can often wear considerable amounts of makeup, not to mention stilettos. Finally, a couple more pieces of data for you to mull over. 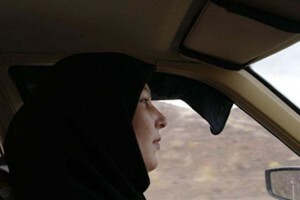 First, a woman taxi driver, entirely shrouded in a chador, playing heavy techno as she drove and nodding along with it. Second, a woman nearly 40, very capable, who has chosen to remain single, because – she said – the Iranian men she had come across, however liberal, have all had a ‘foundational layer’ of traditional attitudes, that meant she was not allowed to be herself, and so she is not only, potentially, risking having no children – an ambition that everyone here, male and female, seems to hold – but also she is attempting to emigrate to North America. I don’t pretend to any knowledge of this issue other than my observations and what people have told me, but it does seem to me that the notions we have in the West about gender relations here are probably uninformed, simplistic and bordering on prejudice. 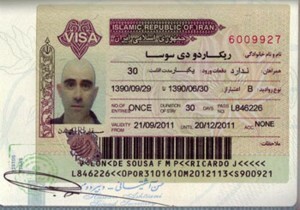 The visa that I obtained in the UK, with quite a bit of hassle, allowed me precisely 30 days in Iran. Alas, this and the stamp put on my passport when I entered the country – while half-asleep passing my passport from my bunk on the train down to an Iranian border guard – are all in Persian script and dated according to the Persian calendar. Now I can read the first, but never made the attempt to come to terms with the second. I merely asked a few Iranians and they told me that it ran out the day before I left. This was what I expected. 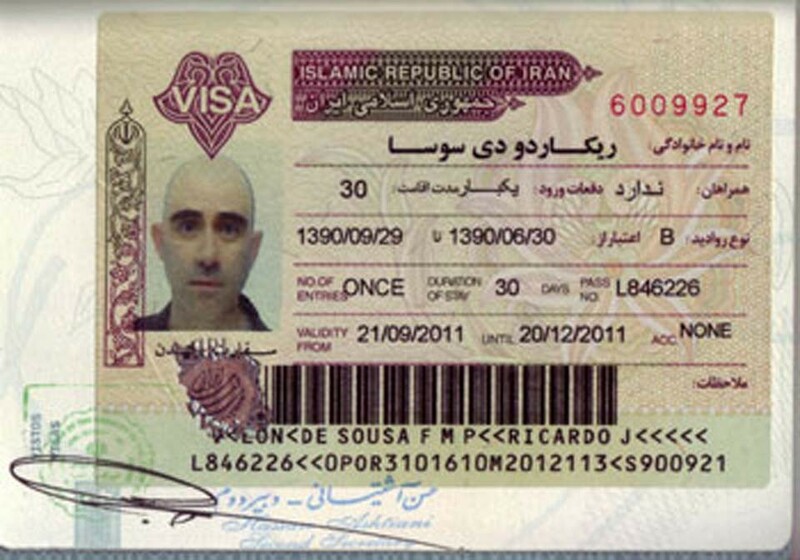 I had bought the return flight on the basis that it was the shortest and cheapest, and did not leave at an unholy hour and, according to my guide book, getting a visa extrension is a simple matter…. Early on my first morning in Esfahan, I got a taxi across town to the government office that dealt with visas. I was scanned, and my body and bag were meticulously searched. I hung about and was eventually taken into the chief police officer’s office and made to wait as he strutted about speaking loudly. 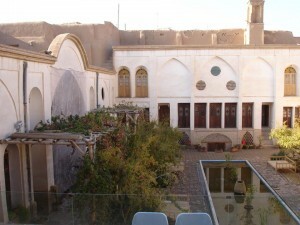 When he deigned to notice my passport being waved in his face (by the police officer who had accompanied me) he glanced at it, said it was too early for me to seek an extension, and told me to go and extend my visa in Kashan. I was told that would be very easy. 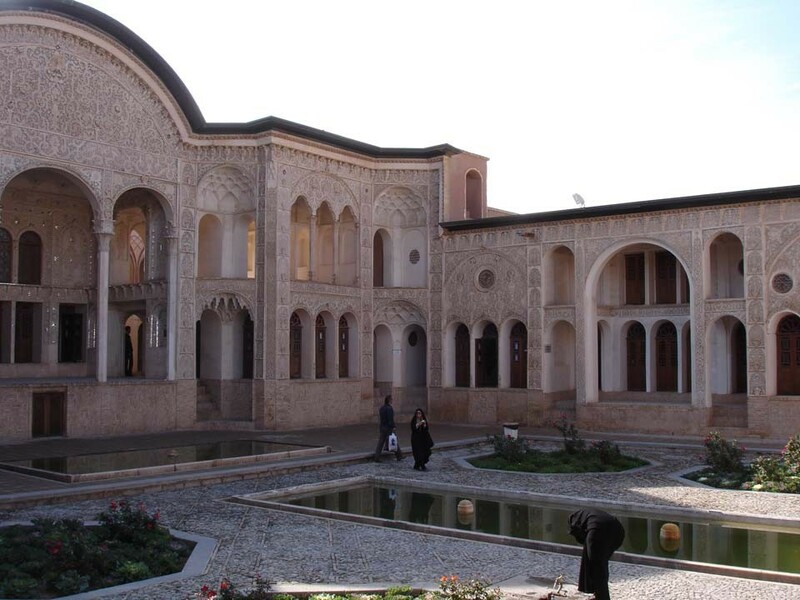 I was left feeling a tad nervous – my guidebook didn’t even mention Kashan as one of the places where visas could be extended… besides, it says that the process can sometimes take up to a week and, if I did not wish to miss my flight, I could only stay 2 days in Kashan. So, when I got to Kashan, I asked the receptionist at my hotel what I should do. The impression he gave me was that this was an unheard of notion. He made some phone calls and could find out little, except that there was a building I should go to somewhere near a faraway roundabout. Off I went. A taxi dropped me at said roundabout and then I asked for directions and was sent to a building that was flying Iranian flags and to whose railings were attached many quotes from the Quran that -and the pictures of Khomeini often ringed with flowers, and his successor Ayatollah Khamenei (who looks remarkably like Alec Guiness!? – Kind Hearts and Coronets comes to mind) – often indicate government buildings. Eventually I managed to find a guard tower with a soldier in it, and he responded to my comments of: “passport, visa” by pointing in a vague direction. A rather keen man standing nearby took it upon himself to get me there. We jumped into his car – the engine of which kept cutting out at the most inopportune times – and proceeded to drive around, stopping to ask anyone he saw for directions. Back and forth, this way and that, while all the time he grinned insanely and we exchanged various English and Persian words in a conversation Alice in Wonderland would have found exasperating. At last, his enthusiasm exhausted, my driver pointed me up an alleyway, and drove off. Rather unconvinced, I wandered up it and found an open door in what looked like a block of flats and, climbing several floors, found, to my surprise and delight, that it led to some kind of government office. After being redirected several times, at last a man behind a desk drew a map for me, and even took me back down to the alleyway and pointed in which direction I should go. Off I slogged, eventually reaching the roundabout I had started off at. The drawn map was less than clear. I wandered along behind a park, past any number of buildings that looked decidedly residential. Finding at last another guardhouse, I asked the soldiers in it for help. Eventually, one of them came out and walked along behind the bars, and got some old man, on my side of the bars, to take me to a nondescript steel door set into a wall and left me standing there. I knocked. Nothing. I looked around me and there was no sign of life. I knocked again. Nothing. I would have walked away except that an old woman came to stand beside me, looking at the door expectantly. She knocked. Nothing. 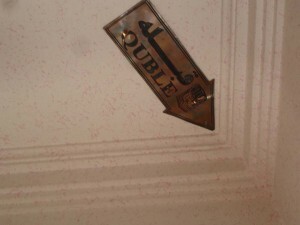 Then, after perhaps 20 minutes, a tiny porthole opened in the wall at which we saw a woman’s face. 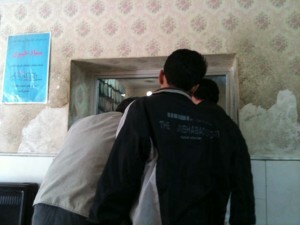 Soon after the door opened and let us into a tiny waiting room. I showed my passport and tried to indicate what I wanted, with dodgy Persian and much hand waving. A police officer joined the woman and they both looked at me with puzzled expressions. 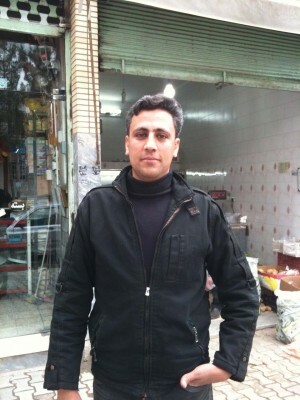 I was saved by a man called Ismail who happened to come in wanting something and turned out to speak English. He acted as interpreter. I explained what I wanted, and the police officer said that he might be able to do something, but first I had to fill in several forms. Ismail kindly drove me to a bank that was about to close, where he filled in more forms for me, and bullied his way to the front of the queue. He deposited the money I gave him in the appropriate government account and then drove off. I returned to the steel door, handed over forms, my passport, photocopies Ismail had also got for me, mugshots (that I had had to have taken earlier) and was told to return the next day. Back at my hotel, the receptionist laughed when I told him I was hoping to get the extension the next day. Not very encouraging that. Nevertheless I returned at the appointed time and, using another receptionist on my phone as an interpreter, the policeman told me that I didn’t need an extension because my visa was still valid for the day I was flying home….. Hmmmm…. Having paid my money, and feeling that it was better to be safe than sorry, I asked for and got, an hour later, my extension. So, from the gloom of thinking that I might end up having to somehow delay my flight, I found myself feeling rather chuffed that, in several ways, I had managed to buck the system. 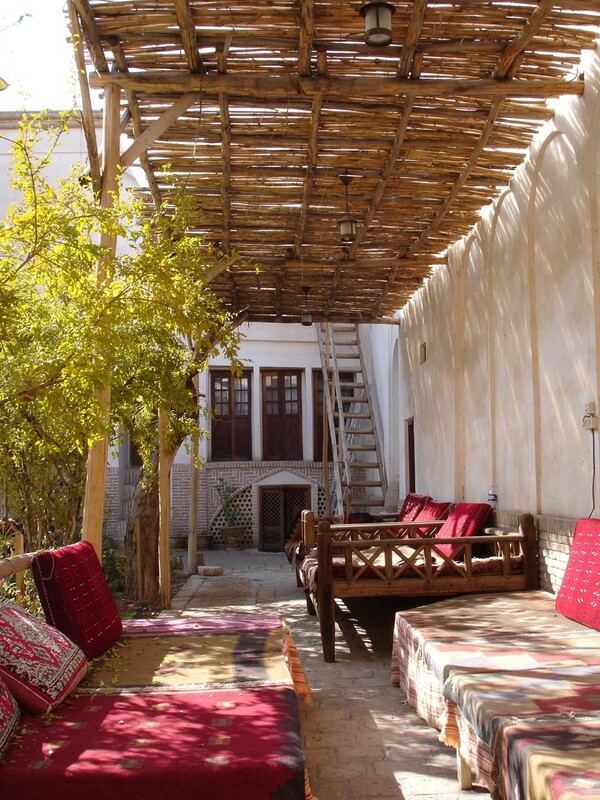 At the Ehsan House Hotel in Kashan – probably the most delightful and relaxing hotel I’ve stayed in Iran – I met other European travellers for the first time. 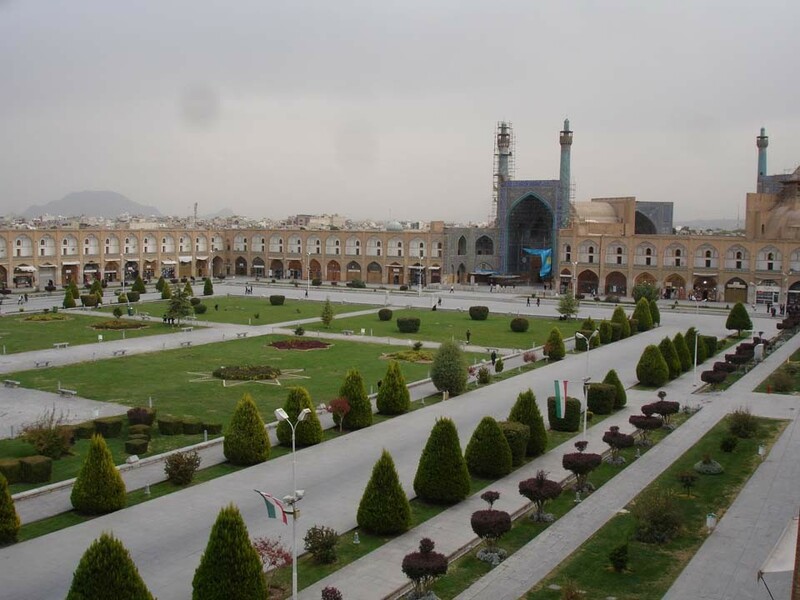 If this appears strange it is partially because many of my destinations have been off the tourist trail, and that apparently Iran only manages to attract 56,000 tourists annually, and that this is, besides, low season. I met Claudia as I was checking in, and as she was just about to leave, but we decided to have tea together, and ended up talking for so long, that it grew dark, and she decided to stay another night. Claudia is German and has been travelling around Asia for 3 years! We mostly discussed personal issues. Later, we were joined by Erwann, a Frenchman who lives in London and who has jacked in his job to cycle to Singapore from Istanbul. (As one does – remember Tom?) It seems that Asia is criss-crossed by European youths on bicycles. Of course the locals think these people are mad – for they know they’re ‘rich’ – and why would a rich man choose to cycle along dusty roads, breathing in diesel fumes for hundreds of miles? 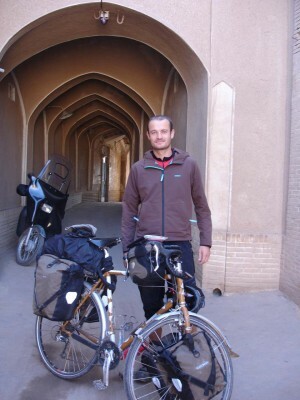 Of course, Erwann has been finding kind Iranians who had been putting him up – when he hasn’t been sleeping in the corner of some mosque. The third member of this august group was an Austrian, Gernot. For some 20 years, he has been travelling as often as he can. His current job means that he is restricted to three two week holidays per year. He has been to some unlikely places: Ethiopia, for example. I would love to tell you everything he told me, it was all fascinating, however this is neither the time nor the place. What I will tell you is that we compared notes on places that we had both visited. Antigua in Guatemala, for one. When I was there in 2001, it was an isolated and crumbling colonial Spanish city and was much as it had been for centuries. He visited it 10 years later and reported that it’s old houses had been converted into shops and hotels; one even into the poshest Kentucky Fried Chicken he’d ever seen. The Mayan women who I had seen laying out their wares along the side of the street, were no longer permitted to do so. The textiles they had sold then had now been consigned to a sort of crafts supermarket. Similarly, Atitlan, a gorgeous blue lake high in the mountains, and ringed by volcanoes and native villages and that, when I was there, had a single, gently commercialised settlement that was filled with European hippies, now has every village full of hotels and tourists and international fast food joints. This in barely 10 years. When I was there everything seemed to be as it had always been. Gernot told me of villages in remote parts of Laos, where he had witnessed a market in which he had been the only foreigner. Then, there had been only a couple of rooms that could be rented. On a second visit he found the place filled with hotels, and tour buses daily deposited more tourists than there were local people to wander around this once remote and working market. 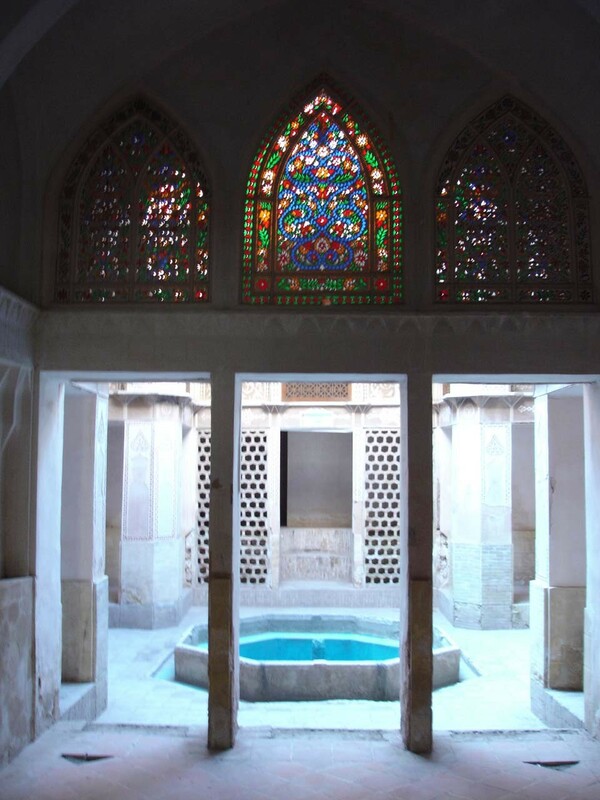 As we mused sadly on how we tourists destroy what we travel to see and experience, it became obvious to me that I have been extremely lucky to come to Iran at this time. The problems that this lovely country currently is experiencing with some of the outside world have protected it from this tourist influx. That hardly anyone speaks English is a sign of this. Perhaps even the overhwelming warmth and friendliness the people here show to strangers is due to this: for, currently, we tourists are exotic creatures and, because the Iranians are precluded from travelling for financial and political reasons, we are the nearest most of them can ever hope to get to actually ‘touching’ the world outside Iran. I have talked about the signs I have seen, the many signs, of how ‘progress’ is already causing much that was wonderful here to be lost. 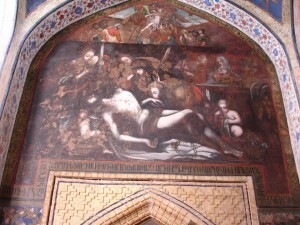 Akbar looked sad when he said that Esfahan had, when he was young, still looked much like Yazd – but the ancient houses and alleys had been bulldozed to be replaced with the characterless concrete buildings that, Gernot pointed out, make the suburbs of all the cities here look like those similarly spoiled across southern Europe, or all manner of other places across the globe, as we slowly rip up what was once a varied cultural tapestry and replace it with a monotonous, machine-made mediocrity. 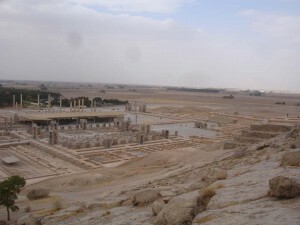 What is left here has shown me a glimpse of the amazing beauty that was once Iran. Iran’s isolation will not last long. I have been told that there are already plans to increase annual tourist numbers into the millions. These will descend on those places I have visited and change them. The people will no longer see tourists as emissaries from foreign lands, but as an ever increasing part of their income. Can the hospitality they now give so freely survive being thus commercialised? 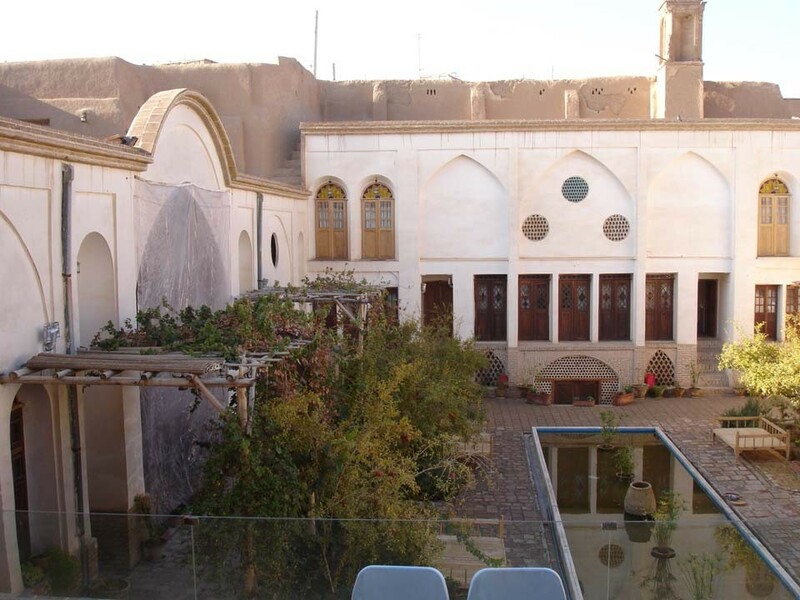 Even if it does, tourists, locked away in their restored traditional house hotels – hotels too expensive for ordinary Iranians – will become isolated from the real people. 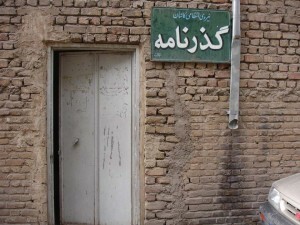 Visitors will no longer have the incentive to struggle to understand and to be understood, for they will be hemmed in by Iranians who will speak perfect English, and so this incredible land will become just another ‘resort’ – another series of boxes to be ticked by tourists who can claim that they have ‘been there’. But let me not sign off on this sour note. 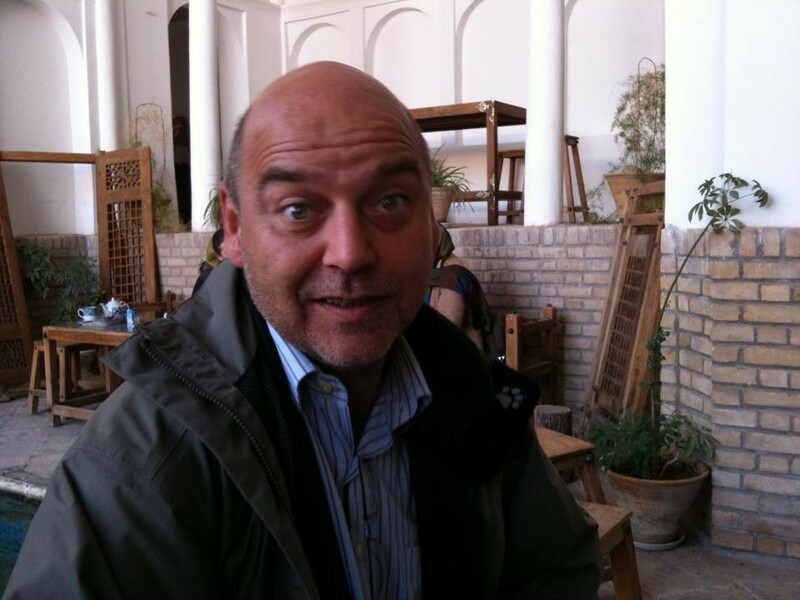 I am writing this in a hotel in Tehran and tomorrow I fly back to Scotland and my normal life. I came here seeking to confront the Persia, that has lived and grown in my imagination since I was a child, with the reality of what it is and of the remains of what it once was. These aims have been more than met, though the deepest of these will take a while to assimilate: for example, I have not yet been able to describe my experience at Persepolis even to myself. 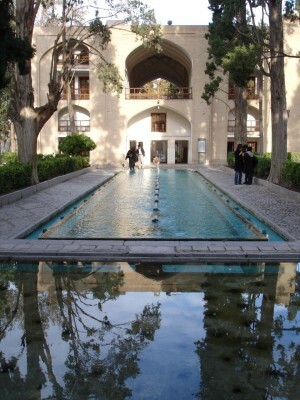 I also came to see the landscapes and to look into Persian faces. This too I have achieved, and it is these experiences that have been the most powerful in my daily life here. I came to Iran seeking ancient Persia, but Iran is a modern country, and Iranians are a modern people. Both seem to me almost like a lost part of Europe. I have felt profoundly at home here. The warmth of the welcome the Iranians have extended to me has touched me deeply and I am humbly thankful to them for that. 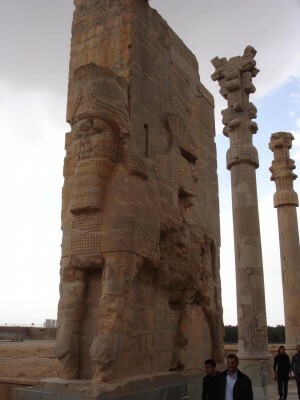 But Persia still lives in this land and in these people, and Persia is something deeper than Iran. The Iranians are a people in which greatness sleeps and I look forward to when they resume their proper place in the world, for theirs is a voice that I believe we all need to hear. Well…I feel like after you having written all that I should actually respond to something directly, but having never been there I can’t much comment. I can, however, comment on the high school population of Persians that I grew up with, and subsequently took for granted. 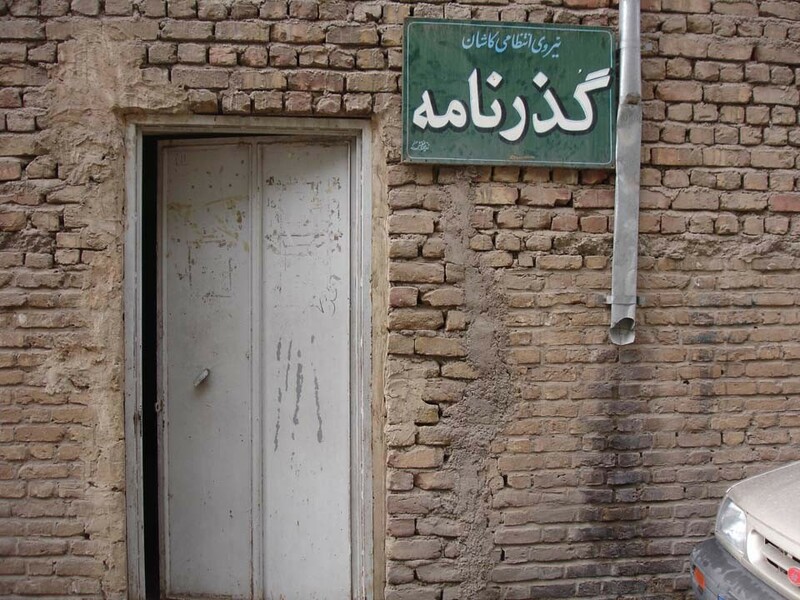 Being where I grew up, I realise now it was probably one of the anomaly pockets in the world that had a large concentration of (wealthy) Iranians. Hearing Farsi (it took me a while to figure out was called ‘Persian’ when I wanted to take a class in university) for a good 6 or so years, tasting home made Persian food that you never see in restaurants, and soaking up the attitudes and lifestyles that many of them carried into their homes in North America was quite a gift. Long before I was old enough to realise where Iran was, or what political games it was embroiled in, I had learned the abstract idea it was a culture that traced back to Rumi and other poets. I’m quite glad I had that opportunity – since I left Vancouver, it’s been less and less common for me to find Iranians around, never mind hearing Farsi spoken every day. Come to think of it, despite LSE’s diversity, I still haven’t met an Iranian yet.